A 2013 survey of 2,200 clients of cloud-based talent management solution provider SilkRoad revealed that four out of the top seven ways for boosting employee engagement had to do with career development and learning opportunities. Employees want to learn because it helps them see where their career is heading as they gain new and improved skills. If it seems like your people don’t want to learn, the problem may be how you’re going about it. Improving employee engagement has direct benefits to your company’s bottom line, especially in the form of reducing the costs associated with turnover. You’ve got think of fostering a learning culture as a direct investment in the future success of your company. The kinds of learning that happen can take all kinds of forms, from traditional classroom training, workshops and education to conferences, seminars, special projects, tuition reimbursement, eLearning and web-based training. Organizations who take learning seriously probably do all forms of learning. And every dollar you invest in fostering a quality learning culture will impart benefits for years to come. The employee who is constantly learning is the employee who will be better and better at their job as they expand their knowledge and skills. If you don’t take a conscious, deliberate approach to foster a learning culture, then you run the risk of producing only mediocre learning programs that don’t improve engagement or give a good return on the investment. Far too many companies take a very haphazard, even random approach to training and learning. Someone sees a problem developing in the company and then there is a rush to address it with hastily-developed training or learning course. This kind of reactive approach to learning simply won’t get you where you want to be. Well-developed approaches to learning get learner buy-in, demonstrate the value employees will receive from the learning, rely on authentic problem-centered scenarios, and provide practical knowledge and skills that can be immediately applied on the job, and also put learners into the driver’s seat as much as possible to exercise control over their own learning. 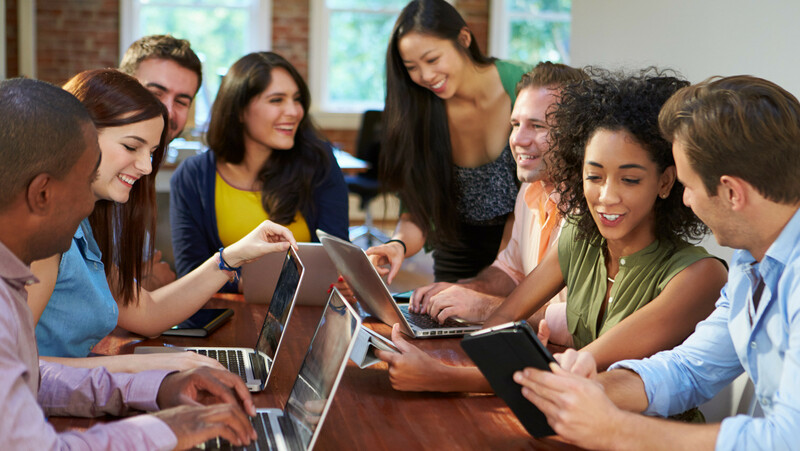 When you focus on fostering a learning culture and make high-quality training and learning available throughout your company, your employees will undoubtedly begin to shine. They will be increasingly nimble in quickly adapting to change, making your entire organizational more agile. They will become more responsible, efficient, and productive – all of which translates into greater profitability (the return on your investment). Your company culture is unique and inimitable, as is the subset of learning culture within it. If you can get culture working in your favor, contributing in positive ways to your business success, then you’ve got a unique competitive advantage that simply cannot be easily copied by competitors. Ideas, technologies, even skills can be copied, but not culture. These are compelling reasons that should convince you of the value in taking up the challenge of fostering a culture of learning at your company. But before I get into the specifics of how to go about doing that, you need to know about the state of your company’s current learning culture (or lack thereof, as the case may be). My next article will be all about how to assess the learning culture of your organization.